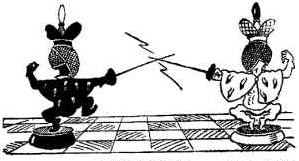 Discover the Olympic Sport of Fencing! Discover the sport called “physical chess”! Olympia Fencing Center provides a full range of classes for all ages and abilities. Starting with kids as young as six years old who never fence before, our programs include middle and high school students, with none or some fencing experience. With multiple national and international medalists, Olympia Fencing Center is number one NCAA feeder in the New England Division. Three of the six 2018 US Cadet Epee World Team come from our club, and we’re the only club in the US to send a woman epeeist to the 2018 Youth Olympics, in Buenos Aires, AG. Fencing for fun, to stay fit, or after long office hours, or fencing competitively, with goals like making the NCAA, the US Team, and more – our highly qualified coaches at Olympia have a plan for everyone! We offer a FREE TRIAL for both children and adults! To schedule your trial class, please email us: info@olympiafencingcenter.com, for scheduling. Schedule subject to change, email: info@olympiafencingcenter.com for confirmation. Our center practices an open enrollment policy: there are no terms or contracts, memberships are month to month. Aspiring fencers can start a program at any given time during the year. We’re never closed, classes are on during all public and private school vacations and most of the federal holidays. – $115.00/month – one 60 minute class per week. A fun introduction to the Olympic sport of fencing, for 7 to 10 years old! Fencing games of speed and agility warm up children, continued by basic stances, lunges, target practice, and fencing fun! Free trials need to be scheduled: please email trials@olympiafencingcenter.com to schedule yours. No more than 3 trials per class, scheduled trials have priority over walk-ins. Note: above ages/classes may change, make sure you contact the office to confirm. 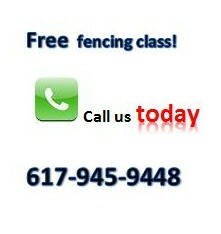 For those new to fencing, click here to see what to expect during this class. Important! All students participating in any of our club’s programs must have the least $10.00, non-competitive, USFA membership. The membership needs to be renewed at the beginning of every new season (August 1st). Similar to the Musketeers program, but for older kids (11 to 14), learning the basics of the sport and getting ready to moving forward to more advanced techniques. Click here to see what to expect during this class. NOTE: All programs above the basic beginners level must buy or rent their own fencing gear. Upon request, we can help you chose and order the right equipment for you, at competitive prices. The renting price is $40.00/month, the gear must stay in the club, can’t be taken home. Students are introduced to drills, blade work, and learn the rules and regulations of fencing competition. Private lessons (25 minutes sessions, one on one with a coach, not included in the program’s tuition) are strongly recommended for this program. Olympia Fencing Center is a professional club, registered with the US Fencing Association, the governing body of fencing in the country. For all competitive programs, USFA competitive membership is required. The registration process takes a few minutes to complete and it’s valid in all national fencing clubs, for the whole season (August 1st to July 31st). Students are introduced to National competitions, will start earning rankings and be on US Fencing point standings list. This class is required to step up to the highest level, Junior Competitive. – $395.00/month – three, 2-hour classes per week, including two open bouting sessions (Wednesday and Sunday). This program is designed for advanced fencers who are competing at the national and international level. Their goals might include winning a national championship, competing for NCAA or making a US National Team. – $115.00/ month – one 60 minute class per week. This is a class for ages 13 and up. – $195.00/ month – two 90 minute classes per week. For all Competitive classes, USFA competitive membership is required. A recreational program designed for girls and boys 6 years of age and up, interested to learn fencing or practice both recreationally or competitive. Full equipment is provided to all beginners. This program is similar to the Musketeers program, students will learn basic fencing skills, improve their physical condition and move on to more advanced levels. The least non-competitive USFA membership is required. – $99.00/month – same as Adult Competitive except there are no classes. 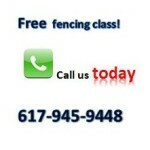 Open Fencing is free of charge and the fencers are entitled to private instruction scheduling. There is a one time $10.00 account set up fee for all new members. If you discontinue/hold your membership for over two months, the setup fee will apply again. Visitors – $15.00 floor fee. Olympia members, college students, NCAA, and Olympia former students fence for free.